experience, reliability & innovation . . .
We offer a fax service to inform people of products, software, and etc. The IP Office Solution is ideal for small to mid-size businesses, the scalable IP Office is an all-in-one solution specially designed to meet the communications challenges facing the home office, small office, and medium enterprise with 2 to 384 extensions. Built on Avaya's latest advancements in converged voice and data technology, you can benefit from many of the advantages sophisticated communications deliver to your business. Download the IP Office Description Manual to see what wonderful items and functions are available with this system! Designed to help your small business enhance customer service and increase productivity while protecting your bottom line. The modular system includes a wide range of built-in features that can be easily tailored to meet your unique communications needs – from a few phones up to 40 extensions, while also handling voice mail, modems, credit card readers and fax machines. The Magix Integrated System is attractive to small and mid-markets customers (15 to 200 users) with single locations, as well as a large number of geographically dispersed locations. In addition to current voice applications needs, customers that access the Internet via modems or anticipate a future requirement for high-speed, Internet access, and currently have a LAN installed, are candidates for this offer. Make your board rooms and conference rooms more functional with the perfect conference phone. Make your phones more flexible by adding a corded or wireless headset to it. See our solutions available. Add cordless phones to your system with incredible range and functions. We are proud to sell and install the EnGenius cordless solutions. They are great for facilities with multiple buildings and/or large lots. Give your the staff the added flexibility of mobility. A wide selection of phones. Analog, digital, IP and wireless phones are available to meet different needs. 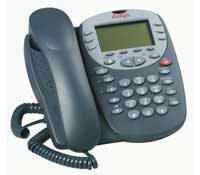 We have phones for Partner, Magix, Legend, IP Office, and other systems. In addition to phones we have different headset and console solutions. See our solutions available. A.C. Technologies has the ability to get many used and refurbished products. A whole system, a card, a phone, whatever you need in the way of used or refurbished parts. Many of our refurbished items come with a one-year warranty, and are as clean as the day they original shipped. Add incredible functions and value to your phones systems by utilizing appliance to route incoming faxes to emails, add DID functionality to non-DID capable systems, and gateway systems together using VOIP technology. See our solutions available. Use the power of Skype to connect phone systems of different types from multiple branches together, use Skype trunking to reduce long distance and international charges, allow road warriors to connect directly to their office phone system, and add click-to-call to integrate the company’s website to its phone system to enable free communications with customers and partners. See our solutions available. UWe have the right call accounting solution for you, Metropolis Technologies, makers of ProfitWatch Hotel Call Accounting software and OfficeWatch Business Call Accounting software. With several thousand installations, 16 years in business and a reputation for excellent customer service and technical support, Metropolis Technologies is the leading call accounting provider for hotels and businesses. See our solutions available. Music-on-hold is an often overlooked, powerful aspect of a good phone system. Info-Hold provides the wide selection of Sirius Radio and professionalism of excellently crafted message in one package. With its web-based interface you can control any system no matter what city or state it is in. See our solutions available. 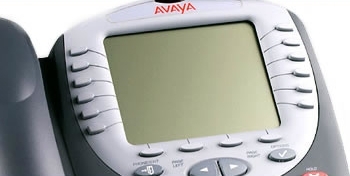 Avaya one-X™ Quick Edition delivers intelligent communications to very small businesses & Enterprise small branch offices. With SIP-based peer-to-peer technology, all the intelligence resides in the VoIP telephone set. In minutes all users have access to the most commonly used set of telephony features previously performed by a large system including voicemail, conferencing, and auto-attendant. At-A-Glance you can see this is a powerful solution.